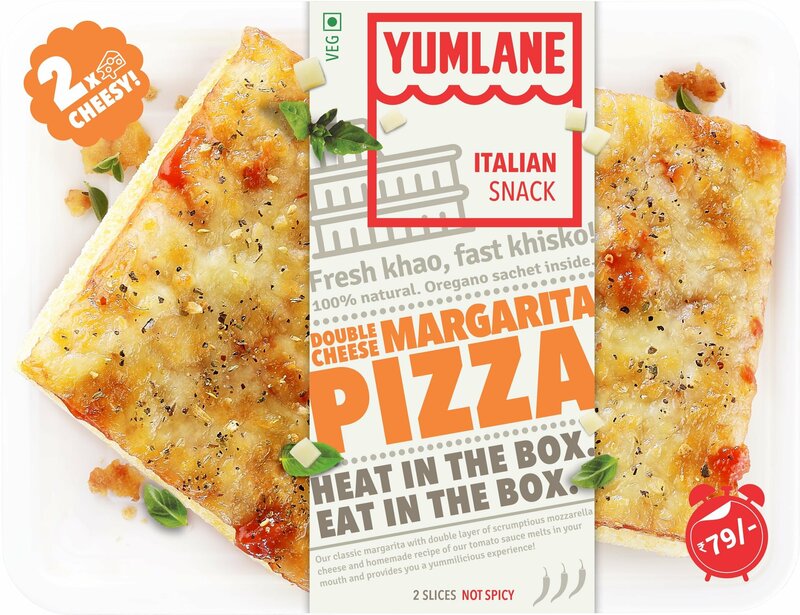 India’s first heat & eat category food brand with its flagship products 'Heat n’ Eat Pizzas' could be the solution for a quick snack. 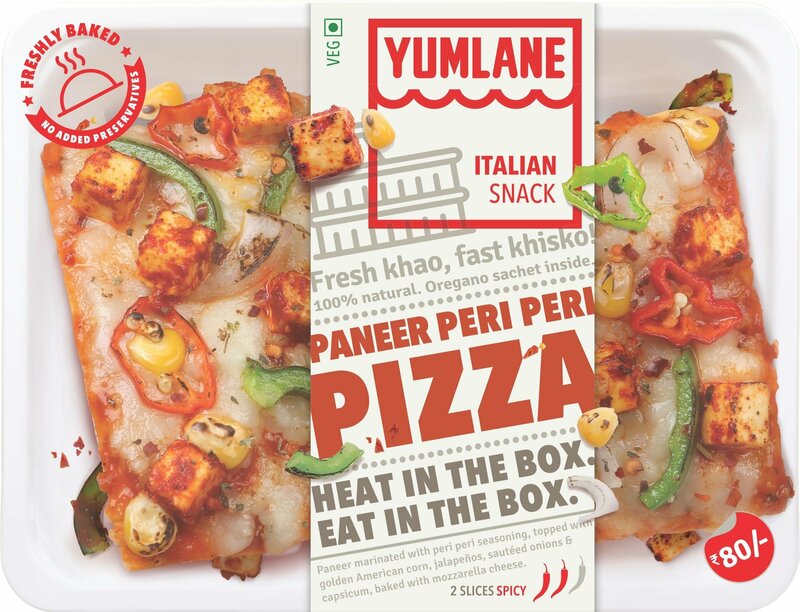 Yumlane, a Consumer Packaged Goods (CPG) brand has a catalogue of a variety of on-the-go hot pizzas which include mouth watering options like Double Cheese Margarita Pizza, Mexican Tango, Indian varieties like Paneer Tikka Pizza and the unique Paneer Peri Pizza and more. So first things first, these are square/rectangle-shaped boxes, and all you need to do before hogging on them is remove the cover, put it in the microwave oven, and heat it for about a minute. Once heated, the pizza is ready-to-eat! Out of the three, my personal favourite was the Paneer Peri Peri, which was optimally spiced, and adding some seasoning to it (which comes at the bottom of the tray which the pizza is held in), it left me content while savouring it. The Heat N' Eat pizza becomes a good option if you're running late for work, or if you are too lazy to cook a meal and want to just quickly grab something to fill yourself up. The Double Cheese Margarita was a little bland for my liking, but hey, to all the cheese-lovers, this one will definitely suit your palate. 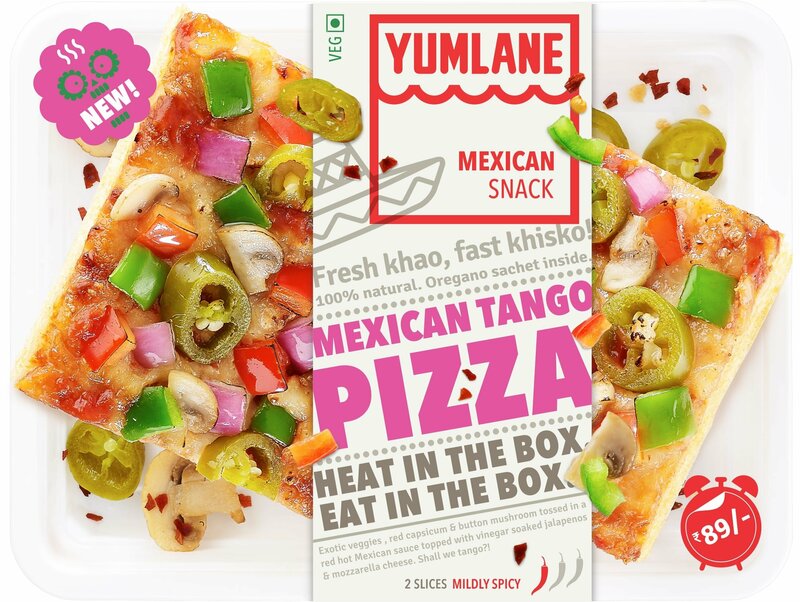 The Mexican Tango Pizza was good, with a few veggies tossed in a Mexican style sauce and the tangy flavour to make it YUM! The CPG brand is available in Mumbai, Bengaluru, Hyderabad & Pune at Big Bazaar, Big Basket, Reliance Smart, DMart and many more supermarkets.